Another Natural Way to Ease Morning Sickness! Conceived and Delivered by Healthcare Professionals. Perfect for your office environment. No tell tale lollipop stick to explain to your co-workers! Includes 21 individually wrapped pieces made with brown rice sugar and cane juice, no synthetic / artificial sugars! • This sour green apple flavor is a tasty way to curb your pregnancy nausea! Purchase Preggie Pop Drops from our retail website, BabyHopes.com. The Natural Way to Ease Morning Sickness! Conceived and Delivered by Healthcare Professionals. This popular root has been used by women around the world to alleviate morning sickness. Often recommended, it is difficult to find in a convenient and tasty form. 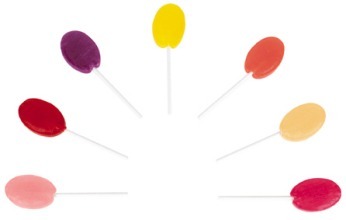 Our naturally flavored ginger lollipop is the perfect combination of sugar and spice. Many women crave something sour to combat a queasy stomach. Our natural sour fruit pops include Sour Raspberry, Sour Lemon and Sour Tangerine — a variety to satisfy anyone’s cravings. Mint is another popular remedy for nausea in pregnancy, often taken in the form of herbal tea. Our convenient mint pops include natural Peppermint and Spearmint. Our most unusual flavor, Lavender, is aromatic and truly unique. The same flower used for enhancing relaxation in aroma therapy is used to formulate our deliciously sweet and pungent lollipop. Preggie Pops are arranged in flavor bags. Each flavor bag contains 7 Preggie Pop lollipops. Allergy Information: These products are processed in a plant processes dairy, peanut, tree nuts, soy protein, wheat, and shrimp (glucosamine) products. Purchase Preggie Pops from our retail website, BabyHopes.com.